So, you use uTorrent for your torrenting needs of things like linux iso’s and various other items. But it is kind of a pain to remote in to your home PC and add the torrents if you aren’t sitting at the PC yourself. So here are a few tools that can make torrenting that much easier. Next up is the mobileui. This interface is just a web interface that allows you to add/remove/change torrents from anywhere you have access to the web. For me personally, I just have it as a bookmark in Chrome so that i can check it whenever I want without having to type it in. And that is probably the easiest way too. Next is the actual webui Firefox extension. This extension runs in the lower corner of your screen and tells you how many torrents you are running, as well as the upload and download speeds of them all put together. And if you click on it, it will open the webui in a sidebar in the browser. It is a nice little extension to have running for anyone who likes to keep an eye on what’s happening at home. Or the uTorrent for Chrome extension that gives you direct access to your torrents like it was running on your remote machine. And finally, the last thing is tying them to the app infrastructure. On the Android, you can install something like Transdroid to manage everything that goes on in your uTorrent installation, or the official uTorrent app to do the same thing. But then there are items like EZTVDroid that helps you to search for TV shows, and can add them directly as well. On the iPhone, you have to use the Project Falcon Alpha in order to get to your torrents since not just any app can get through the app store approval process with Apple. So, with all of these little helpful applications running on your computer, won’t it kill your home PC beyond usability? Believe it or not, even with all of this running, you will barely even notice the difference since uTorrent is written so lightly that it barely touches your memory, and in terms of CPU usage, unless there is a problem, you won’t even notice. I used to use Azureus because of the java applets you could run on top of it to make things easier, but it was such a memory hog that I could not handle it anymore. I moved to uTorrent and haven’t looked back since. I couldn’t imagine downloading in any other manner. 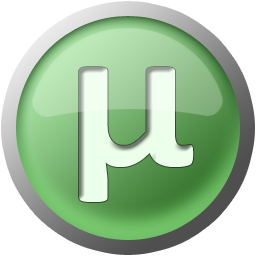 If you haven’t downloaded uTorrent before now, maybe you should look into it. With these pieces in place, you should pretty much be able to do anything you could do on the host machine from anywhere. It works great, and hopefully it helps.